Epilepsy Research UK > News > The Hippocampus: What is it? The Hippocampus: What is it? There is much that scientists have come to learn and understand about the human brain. A small structure within the brain called the hippocampus played a big part in how that knowledge was obtained. The hippocampus is a seahorse-shaped part of the brain, found in the inner folds of the bottom middle section of the brain known as the temporal lobe. The hippocampus is two parts of the brain as there is one on each side of the head. The hippocampus is located in the temporal lobe of the brain. The hippocampus is about 1/100th of the size of the outer layer of the brain, or cerebral cortex. It consists of three layers, with characteristic pyramid-shaped cells. Humans have known about the hippocampus for more than 4 centuries, making it one of the most studied parts of the brain. Its main functions involve human learning and memory. The hippocampus has even helped researchers learn how memory works. In the 1950s, after his severe epilepsy did not respond to any other treatment, a young man known for years as Patient HM went in for brain surgery. In keeping with the best knowledge of the day, the part of his brain where his epileptic seizures seemed to come from was removed. This included both of his hippocampi. He recovered from the surgery in most ways, except he had very serious memory problems. He could recall memories from his early childhood, but he could not remember much from the years leading up to his surgery. More importantly, he had lost the ability to create new memories. His epilepsy was under control and the rest of his intelligence was fine, but he could not remember new events or words. He would even forget who he was talking to if he turned his head. HM became an experimental subject for the rest of his life. After his death in 2008, HM’s identity was revealed as Henry Molaison. Thanks to the sacrifice of his memory and his willingness to participate in ongoing studies, researchers were able to greatly expand their understanding of memory, the brain, and brain disease. Molaison made a great contribution to science and was reportedly happy to know he was helping others. The hippocampus is part of the limbic system, which includes parts of the brain associated less with conscious thought and more with feeling and reacting. Situated on the edge of the cortex, the limbic system includes the hypothalamus and the amygdala. These structures help control different bodily functions, such as the endocrine system and what is commonly known as the “fight or flight” reaction. The hippocampus is one of the few areas of the brain where new nerve cells are generated through adulthood. The hippocampus helps humans process and retrieve two specific kinds of memories: declarative memories and spatial relationships. Declarative memories are memories related to facts and events. Learning how to memorize speeches or lines in a play is a good example of declarative memories in action. Spatial relationship memories involve pathways or routes, as when cab drivers learn routes through a city. Knowledge of brain functions has grown to the point where researchers can now say spatial relationship memories are stored in the right hippocampus. As the story of HM shows, the hippocampus also plays another vital role in memory. It is where short-term memories are turned into long-term memories, which are then stored elsewhere in the brain. While it was once thought that new nerve cells only grew in embryos or young children, research has now shown that nerve cells develop throughout adulthood. The hippocampus is one of the few places in the brain where the new nerve cells are generated. What happens if the hippocampus is affected by illness or injury? HM’s story reveals what happens when both hippocampi are completely removed. Similar problems develop when one hippocampus is damaged by illnesses such as Alzheimer’s disease, or hurt in an accident. When the hippocampus is impaired, patients can’t develop new long-term memories. They also can’t remember some things that happened before the hippocampal damage, but do better with things that happened longer ago. Transient global amnesia is a specific form of memory loss that develops suddenly, seemingly on its own, and then goes away fairly quickly. Most patients with transient global amnesia eventually regain their memories, but researchers are not entirely clear on what causes these events. It is possible that damage to the hippocampus is involved. Since the hippocampus plays such an important role in helping humans get around, affected individuals can have trouble getting from one place to another if it is damaged. They may be able to draw a map of the neighbourhood they lived in as children, but find going to a store in a new area difficult. Some diseases physically change the hippocampus. Both Alzheimer’s disease and depression reduce the size of the hippocampus. 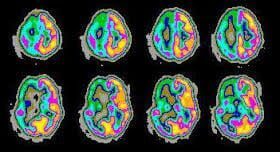 In Alzheimer’s disease, this link is so well-established that watching the volume of the hippocampus can be used to diagnose the progress of the disease. The impact is just as significant with depression. Scientists have found that in depression, the hippocampus wastes away and shrinks. It can shrink by up to 20 percent, according to some researchers. The hippocampus is a sensitive part of the brain. It can be adversely affected by many different conditions, including long-term exposure to high levels of stress. The hippocampus is one of the areas that Alzheimer’s disease, the leading cause of dementia and memory loss, attacks first. Patients begin to lose their short-term memories and may find it difficult to follow directions. As the disease progresses, affected parts of the brain start to waste away. The hippocampus loses volume as the disease continues, and patients become less and less able to function. There is a strong link between the hippocampus and epilepsy. 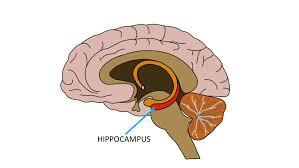 As is revealed in the story of Patient HM, the hippocampus is where many epileptic seizures begin. Between 50 and 75 percent of patients with epilepsy who have autopsies had damage to the hippocampus. As the researchers note, it is not clear whether epilepsy is the cause or the result of the hippocampus damage, however. The hippocampus also loses volume in cases of severe depression. As with the damage seen by epileptic seizures, scientists are continuing to explore which came first: a smaller hippocampus or depression. There is substantial evidence that stress has a negative impact on the hippocampus. Individuals with Cushing’s disease show a number of symptoms linked to high levels of cortisol, a hormone produced when people are under stress. One of these symptoms is a reduction in the size of the hippocampus.